How to make an awesome anvil! As with any large army the main thing is having the resources to build!!!! Simming is good as defense units rarely are too great at farming and as a defense anvil you rarely want to send out these units to raid when you may have short notice to mobilise your defense. Build some farming units (Theutates Thunders, Equites Imperatoris) to help with farming. A small amount can still do a decent amount of farming if you are efficient but always check to be sure that they are cost effective. if they eat more resource than they generate then kill them as you dont need them. Consider having a small army for nearby skirmishes (make them with your farmers of choice). Now this is especially great if you have a decent amount of gold. The idea is that you build your capital to a point you are overflowing with wheat-Couple this with your small army or raiding army to generate your income. Decide which will be your main anvil village and get the necessary upgrade. Decide what level of troops you feel is necessary at the start. Look to your defense and offense coordinators on this issue. Get to this amount but always make sure you are in a position where the net resources being generated > net resources the army eats. The moment this changes you will find it to be a problem to grow and thus prevent you from being a large anvil towards the mid and late game. One main defense village is probably not enough. The moment you have finished the upgrades on you main defense village (Having one village ready to pump out troops optimally is better than multiple villages that pump out sub optimal troops) then start working on your second defense village. Try to aim for similar configuration as your main one. Get the coordination from the defense coordinators with regards to how much defense they will require (e.g. 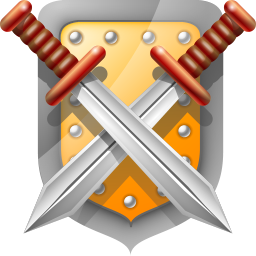 what defense will they need at artefacts launch) – this will become an important part of the game. Calculate how long it will take for you to get that many troops from your multiple troops production villages and queue when you are really need to do so. Before that point SIM and SIM hard so that you can feed more and more troops and also build from more and more villages. This is for those who want a low gold commitment. The idea is to reduce the NPC requirements and yet build a decent anvil. The ability to grow and pump out troops is compromised by the fact that you will ultimately be building troops early on and thus limiting your ability to save resources for the surge of troop building the previous method depends on. Similar to the previous situation your aim is to sim as much as possible but this time with the restriction of not having gold expenditure to sustain super fast growth. Your priority at the start with regards to resources should be towards building new villages asap and getting your resource production up fast. Once again raiding is good but dont over commit to this. The aim is to maximise the worth of your resources and never let them go to waste. If you have an excess of crop building up make more troops. If you have an excess of iron build up your smithy barracks. Play around with your resource management this way. Keep note that what is the main resource of your race (clay for gauls and iron for romans), consider your expansions accordingly to make you get appropriate oasis bonuses and perhaps get village with 5 plots of clay or iron based on your race of choice. Similar to the part A you should slowly make more and more villages which make good quality troops.